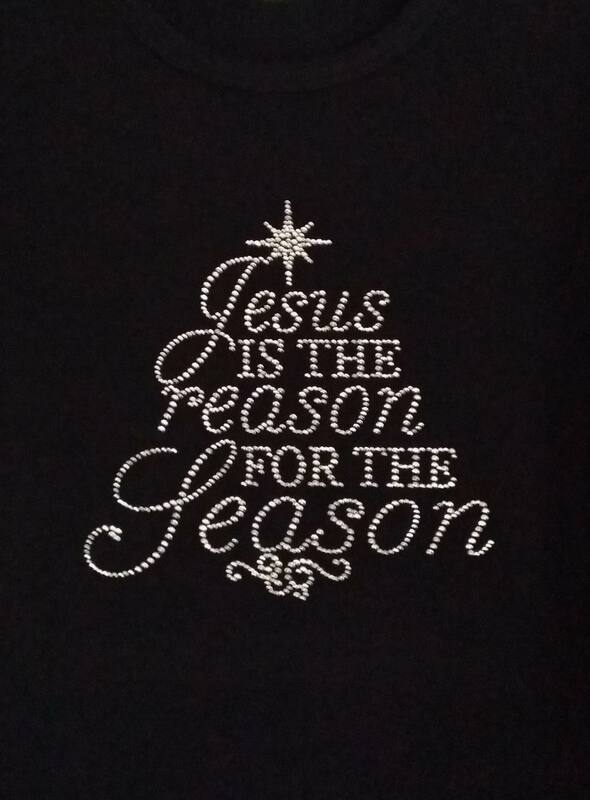 Jesus is the Reason for the Season is a wonderful shirt to wear to church or any holiday event. All 100% crystal rhinestones in this large motif. The shirt is 60% cotton and 40% poly, scoop neck and 3/4 sleeves. Fits like a dream and feels great on. Makes a great gift for a special person. How about the pastor's wife?